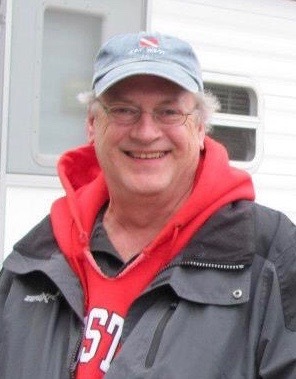 Gregory J. Karl, age 58, of Canal Winchester, Ohio died peacefully surrounded by his family Monday, Feb. 4, 2019 at Mt. Carmel East Hospital in Columbus, Ohio. Born June 18, 1960 to the late Henry E. & Marion T. (Kennedy) Karl and raised in New Canaan, he was a 1978 graduate of New Canaan High School and also a graduate of Springfield College. He was employed by Thirty-One Gifts. Greg enjoyed photography and was an Eagle Scout. Greg was known to be a friend to all and could frequently be found laughing with others and making people smile. He leaves behind his Ohio family, friends and colleagues forever changed by his love, loyalty and dedication. He is survived by his brothers, Henry (Alice) Karl, Jr., of Bethel, Edward Karl of New Canaan, Michael (Cathy) Karl of Ridgefield; sisters Maura (Andrew) Adrian of Medfield, Mass., Rosemary (Todd) Solar, of Sterling, Mass. ; nieces, nephews, and close friends, Paul Smith, Jr., Canal Winchester, Ohio and Tina Smith-Urban, Washington Court House, Ohio. A Mass of Christian Burial will be celebrated at 10 a.m. on Saturday, Feb. 23, 2019 at St. Aloysius Church, 21 Cherry St., New Canaan. In lieu of flowers donations may be made in Greg’s name to Ronald McDonald House, 860 Howard Ave, New Haven, CT 06519.